The white grape comes from Hungary, The name means "blue stem" and refers to the slightly bluish stem color. Synonyms are Blue-stalker, Blue-throated, Blue-eyed and Piros Kéknyelü. Despite seemingly indicative synonyms or morphological She should not be similar to the Hungarian varieties Balafánt and Furmint or the Italian Picolit (which was long considered identical) to be confused. It is a pure female grape, Therefore, for the purpose of fertilization, often in the neighborhood of the variety Budai Zöld grown. 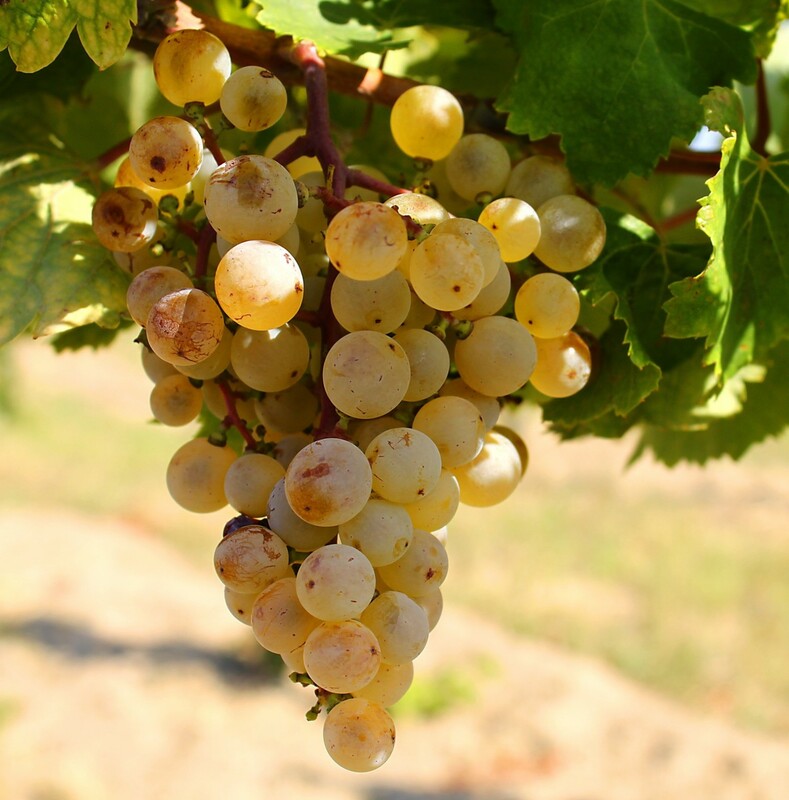 The late-ripening, non-profit vine is prone to Verrieseln, resistant to frost and moderately against Botrytis, but prone to wrong mildew, It produces acidic, aromatic, alcoholic and full bodied white wines with storage potential. The variety was once widespread, but was increasingly replaced by yield-resistant varieties in the 1970s. She is in the area Badacsony at the Balaton (Lake Balaton) cultivated. In 2010, 43 hectares of vineyards were designated (Kym Anderson ). This page was last modified at 25 January 2018 at 13:44.